Huawei's new mid-range smartphone, the Honor 8 Lite, is now available for pre-order in Finland. It seems the company couldn't wait for MWC 2017 to do a grand launch, and instead brought their new smartphone out for a quiet debut ahead of time. The Honor 8 Lite is a downgrade from its predecessor, the Honor 8, and it will ship with Android 7.0 Nougat. The Honor 8 Lite is available for pre-order now and will go on sale February 17, but for the moment will only be available in Finland. There is no word yet on when the device will become available in the US or other markets. The smartphone's price is 269 EUR in Finland, which is equivalent to $290 USD. The Honor 8 Lite will come with only come with one option for internal storage, 16 GB, but there is the option to expand with a MicroSD card. The smartphone offers 16GB of internal storage with the option to further expand it via microSD card (up to 128GB). It will also have two SIM card slots. The device will come with four color options, just like its predecessor. The black and white variants are available now, while gold will come at the end of February, with blue to follow sometime in March. The Honor 8 Lite mirrors the glass and metal design of its predecessor, making a statement of elegance in a mid-range device. The device weighs in at 147 grams, slightly lighter than the Honor 8's 153 grams. The smartphone will also have slightly larger dimensions of 147.2 x 72.94 x 7.6 mm versus the Honor 8's 145.5 x 71 x 7.45 mm. It will retain the fingerprint scanner. The display on the Honor 8 Lite won't disappoint. It features a 5.2-inch Full-HD (1,080 x 1,920) LPTS display covered by 2.5D curved glass. The Honor 8 Lite is showing up its predecessor by shipping with Android 7.0 Nougat via EMUI 5.0. The Honor 8 hit the market with Huawei's EMUI 4.1, which was based on Marshmallow. We think Huawei's UI isn't that bad. We haven't had a chance to test this device yet, obviously, but it should have decent performance for a mid-range smartphone. It will come with the octa-core Kirin 655 CPU and 3 GB of RAM, which is notably less appealing than the Kirin 950 and 4 GB of RAM its predecessor came with. We don't have any details on how the phone's speaker will perform, but we can confirm the device comes with the standard 3.5 mm headphone jack, rather than the trendy USB Type-C, meaning you can keep your old headphones. The Honor 8 Lite will come with a 12 MP rear camera, and an 8 MP front camera. 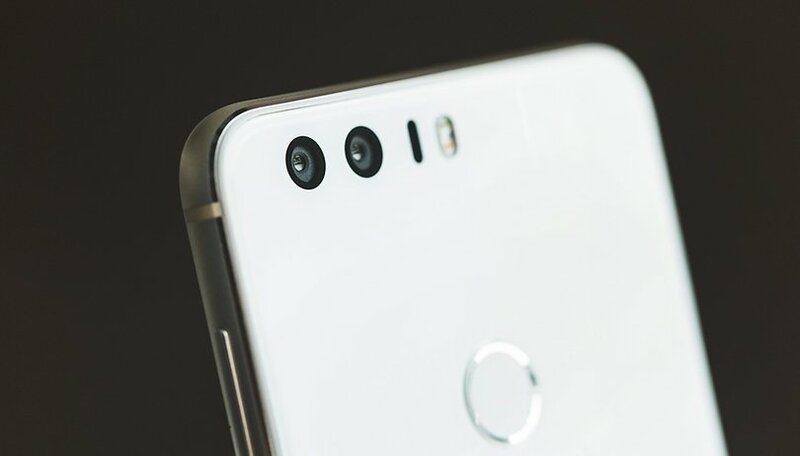 The rear camera will have an f/2.2 aperture and autofocus. The selfie camera will have a 77 degree wide angle lens, to make those group shots a bit easier. To get you through the day, the Honor 8 Lite will have a 3,000 mAh battery. While we haven't had a chance to test it, taking the device's specs into account, this should be just enough. For recharging the device, you'll find a standard and convenient Micro USB port. While we haven't gotten our hands on the device yet, my overall impression so far is that the Honor 8 Lite will be a hit with Honor's young, modern target demographic. It is stylish and elegant, plus it comes with the latest version of Android and a good price/performance ratio for a mid-range device. Fans of the Honor 8 who didn't want to lay down the cash for it should be pleased with Huawei's latest offering when it arrives. The Honor 8 Lite's screen will be 5.2 inches. I love my honor 8 so far, but I don't really see the point of the lite. It's not that much less money if the price translates directly to US dollars. Thanks for the comment, Neil. That's true, if they simply converted the price to US currency. But, there's no indication of how the device would be priced for release in the US market. We'll have to wait and see.